I'm honored to be able to address you on this occasion. As president of EURAO, it is my privilege to wish each and everyone of you, as well as all who are beloved by you, a Merry Christmas and a Happy, Prosperous and, of course, a 'radio-active' 2013. I take this opportunity to express my gratitude to the other members of Board of Directors for their continuous commitment to EURAO. It is my firm belief that EURAO fills the needs of thousands of radio amateurs in Europe, as well as in the rest of the world, not only for our guaranteed QSL exchange, but also to have someone available who is willing to listen. My best wishes to all of you, best 73 and for the (X)YLs a firm 88. From concept to implementation there is never an easy path. 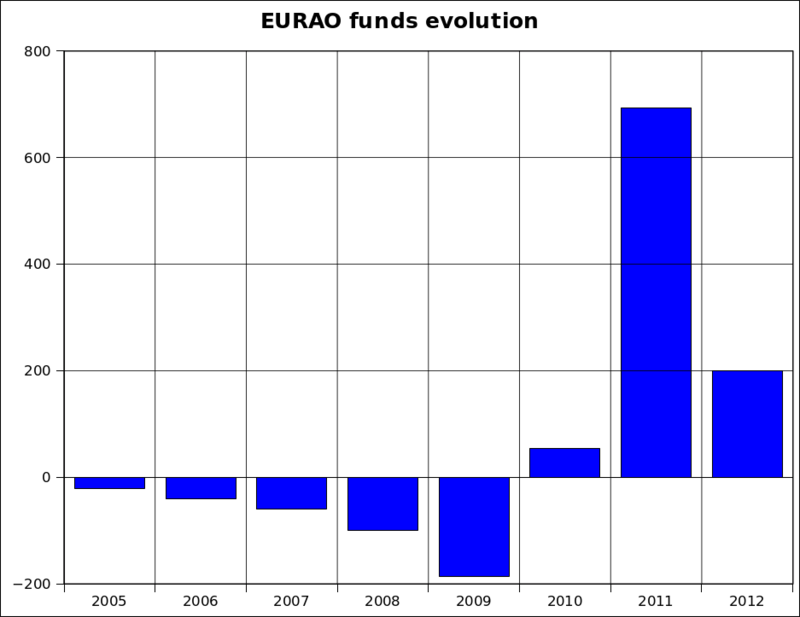 The left graph shows the financial situation of EURAO since its inception, in 2005, with a first stage, until 2009, where the balance was negative every year due to some expenses but no income at all. Since 2010, after constitution of Promoters Committee, who set up an annual fee of 100 € per member association, the situation was reversed and the balance turned positive. 2011 was a year of saving and consolidation, feeling then more confident to take on new challenges, like our attendance at HAM RADIO 2012, definitely a great experience we would like to repeat. But also 2012 brought other news, like the direct opening to individual members, mainly thinking in those radio amateurs from countries where there are not member associations yet. Board of Directors fixed this fee in just 10 € and this source of income became half of the total. Not so bad. The year is almost finish and it is time to dream in the next. We remain, as usual, open to your ideas and suggestions for the future. Thanks in advance. EURAO, where are you? Growing up! To better display where EURAO currently has presence in Europe, a dynamic map is created (click to enlarge). 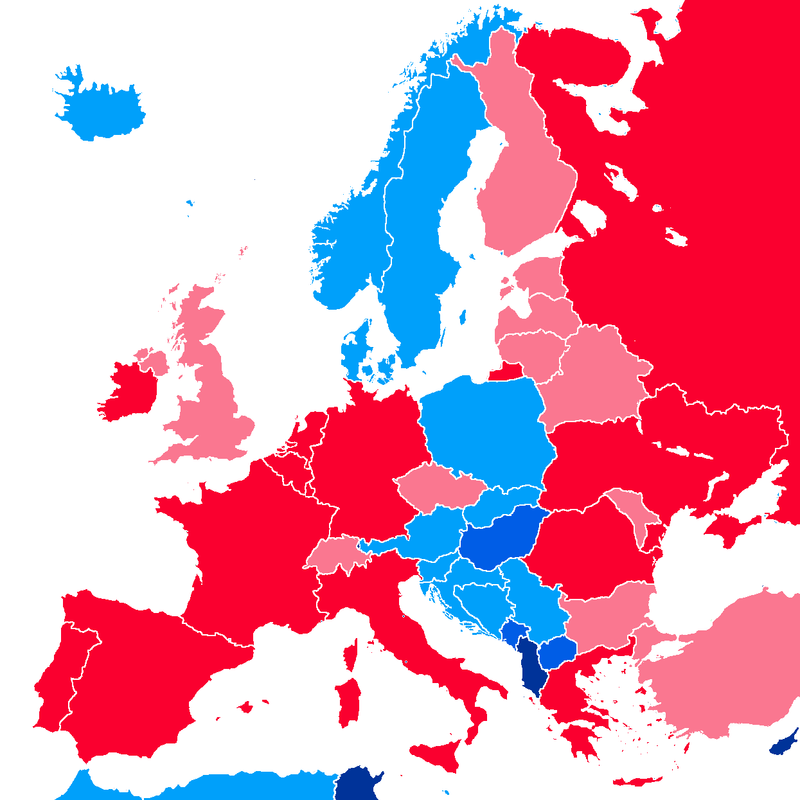 Countries in blue means there are only fans, in light blue that there are also individual members and in red member associations exist. 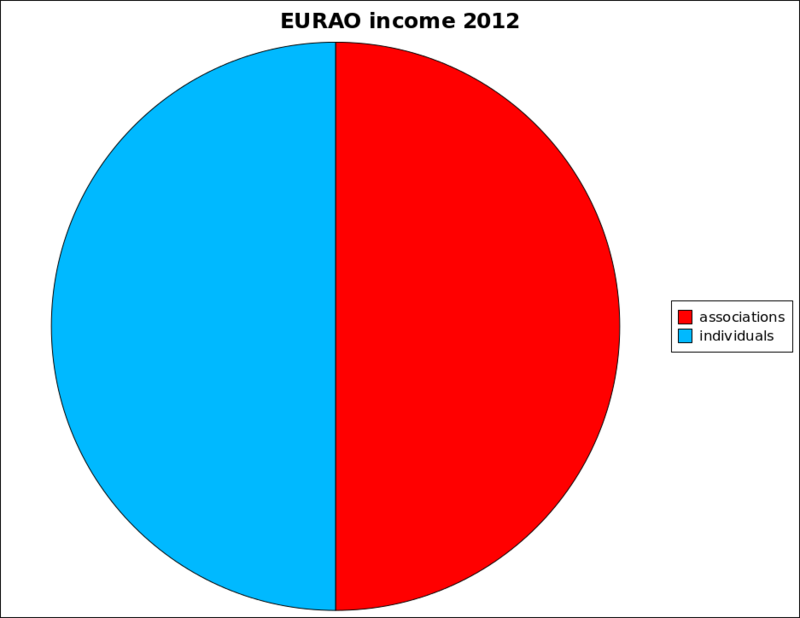 Outside Europe EURAO already has members in: Argentina, Brazil, Chile, New Zealand and USA. Would you like to spread the 'slick' adding your country on the map? Become member of EURAO. This is what you get it. 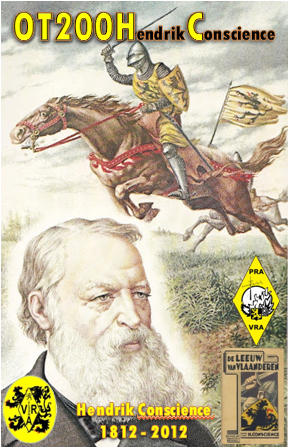 Amateur radio, history and cultural heritage by Vlaamse RadioAmateurs, ON4VRA, honoring one of the parents of Flemish literature. From 1 to 31 December 2012, 6 special callsigns will be on air: OS200HC, OR200HC, OT200HC, OO200HC, OP200HC and OQ200HC. In different bands and modes. QSL 100% via EuroBureauQSL. ON7GZ, President of VRA, on RTV with 100 years Titanic activity.